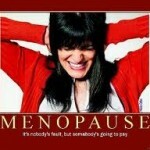 Menopause is a normal condition that all women experience as they age. It usually starts between the ages of 45 to 55 . We all know that in menopause, women stop menstruating, marking the end of her reproductive period. It is accompanied by hot flashes, sweating, headache, fatigue, mood swings, changes in libido, and weight gain due to a decrease in body metabolism. But not all women are aware about what to eat or about which vitamins and minerals are essential during the menopausal period! – Avoid hot flashes triggers: Caffeine, spices and alcohol make hot flashes worse. 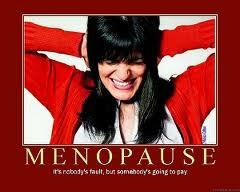 That’s why try decaf coffee, reduce hot pepper while cooking and cut back on alcohol to see if hot flashes improve. – Eat more fiber: A diet rich in fiber is necessary for a healthy digestive system function, especially during this period. It keeps your heart healthy. Choose 100% whole grain breads and cereals and make sure to eat at least five servings of fruits and vegetables each day. These are filled with important vitamins, minerals and antioxidants that keep you healthy and young! – Watch your calcium and vit. D intake: Calcium and Vit. D are the key minerals during menopause to keep your bones healthy, and prevent osteoporosis. Consume 2 to 3 servings of low-fat dairy products daily (zero fat dairy products do not contain Vitamin D) . Toss your salads with low-fat cheeses or yogurt. Consume up to 3 eggs per week, as well as more dark leafy vegetables which are also a good source of calcium. Studies have proved that Vit. E is excellent for reducing hot flushes in menopausal women.That’s why get plenty of this Vitamin from a healthy diet when you eat nuts, seeds, olives, avocados, olive oil or canola oil. – Omega 3’s– The Omega 3 regulate our hormones. It is also good for our heart, brain and eye health. During menopause, women should increase their intake of seafood, nuts, seeds, raw almonds and walnuts! 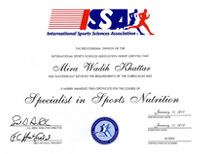 – Excess body fat also plays an important role. Being overweight or obese has been shown to increase your hot flashes. Make sure to decrease the bad saturated fat intake, and replace it by the good unsaturated fat, which eventually will be rich in Vitamin E! Go for olive or canola oil, nuts and raw almonds! choose your dairy products to be low in fat, choose lean grilled protein choices. Reduce the simple sugar intake like ice creams, juices or cakes, and substitute it for dry fruits, frozen yogurt, low-fat hot chocolate drinks. Regular exercise and keeping the body well hydrated also seem to have a positive effect in reducing hot flashes. Eat Right To Look and Feel Your Best!